Hello blog friends! Are you ready for some football? Oops...I mean...are you ready for a new Color Throwdown Challenge? Actually, I'm ready for both! 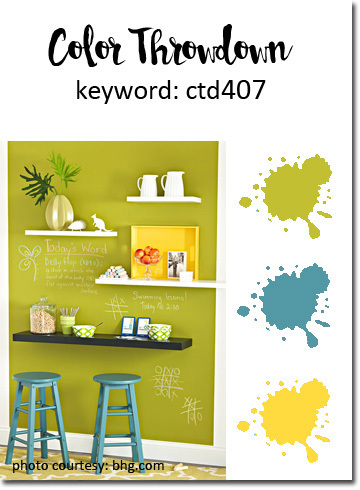 Check out these great primary colors that our hostess Lynn has chosen...a reflection of back to school time. Those chevrons on the cake jumped out at me immediately and I knew I wanted to use MFT's Zigzag Die-Namics and their Happy Birthday sentiment die that I got as a freebie with one of my orders (it's available to buy). The balloon stamps and dies are from WPlus9's Whole Lotta Happy set. I added the balloon strings freehand with a black gel pen. This was a really quick and easy card to throw together! INK: Real Red, Wild Wasabi, Tempting Turquoise, Daffodil Delight. Congratulations to our guest star stamper - Agnieszka Danek-Wisniak! Be sure to stop by her blog and say hello. 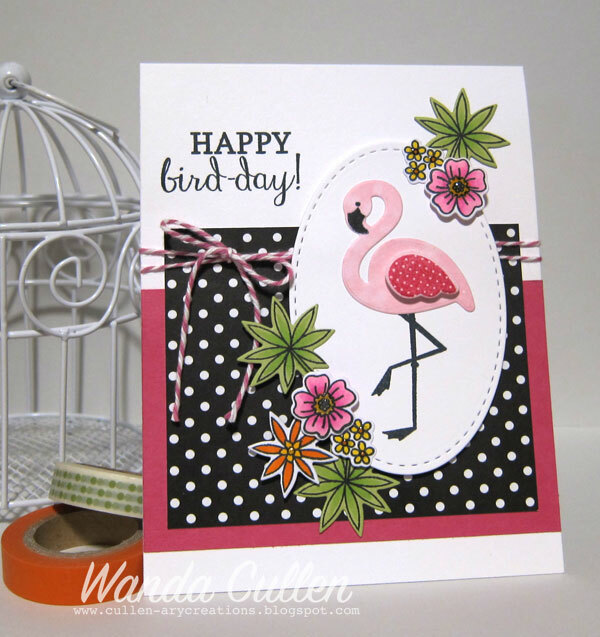 I'm sad to see Wanda Guess leave as our guest designer - her cards are always so inspiring - but stay tuned...we'll have another talented guestie to announce next week! To get all the details on how to play along with the challenge, please go to the Color Throwdown blog and check out the info on the right sidebar! You can also check out the rest of the design teams' creations for more inspiration on the CTD blog.. or you can clink on their blog links below. 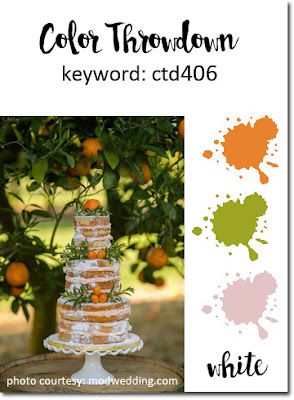 Mary has a wonderful fall color palette for the Color Challenge on SCS and the dessert option is to create a fall card. Well, I'm really ready for some cooler temps after so many ongoing hot and humid days, so I was all over this challenge and pulled out my fave Falling Leaves from the Tim Holtz collection by Stampers Anonymous! They were stamped using Garden Green, Crushed Curry and Cajun Craze inks. I pulled the 4th color - Chocolate Chip - into the mix by adding it in narrow borders and with the sentiment. The metallic leaf embellishments are from Lawn Fawn. Stitched dies are all by Lil' Inker Designs. That's it for today...looking forward to another day off work and hopefully will get some fall decorating completed along with dusting! I have dust bunnies that would probably qualify for the Guinness World Book of Records! I'm running a little late to the party, but wanted to wish Julee and all the Verve gang a very happy birthday! NINE years of wonderful images, some of the best sentiments ever... plus the dies, ribbons and sequins that make up the Verve store! Of course I had to create a birthday card for the Mojo Monday challenge. It's the last week in August (yikes! 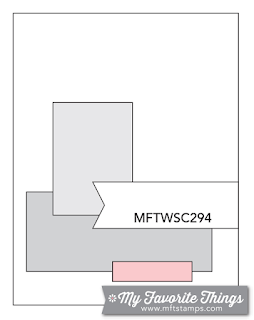 ), so that means it's tall and skinny week. 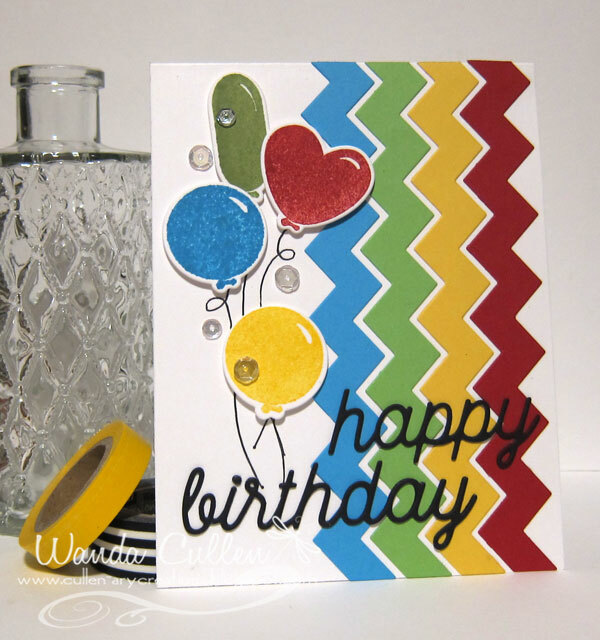 My card is 3 1/2" x 5 1/2" and I love the challenge of a narrower card base! glitter via Crystal Stickles! The cupcake and sentiment are from Verve's Small Packages stamp set and I used their Pennant Trim die as well. Other dies used...Stitched Fishtail Flags by MFT and All Framed Up Confetti Cuts by Reverse Confetti. Papers are from the Sugar Shoppe 6x6 pad by Doodlebug Design, Inc.
but it's been a good day off for me! I set the alarm early (for me anyway) and got my bod out of bed at 7:00 AM (remember, I'm a second shifter) and went to a huge consignment/church sale for children's clothing, toys, etc. I was glad I went early because the selection is so much better in the early hours! 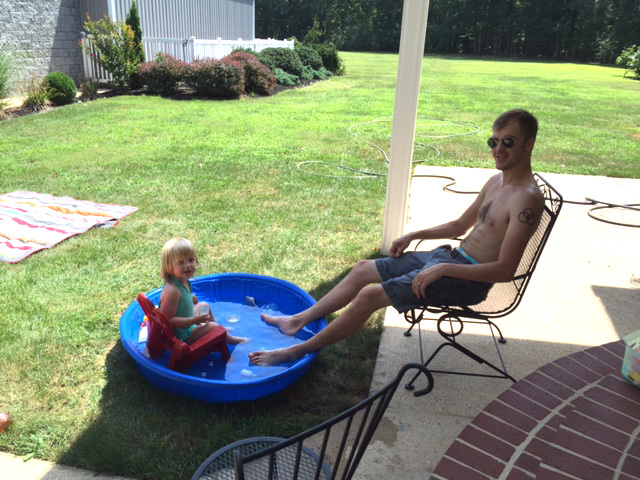 Soon after I got home, the two grands - Quinn is almost 2 and Cash is 5 weeks old - came over for a swim (check out that huge pool - lol! ), some lunch and some stamping! Yes, Quinn loves to get inky and especially loves any animal stamps. 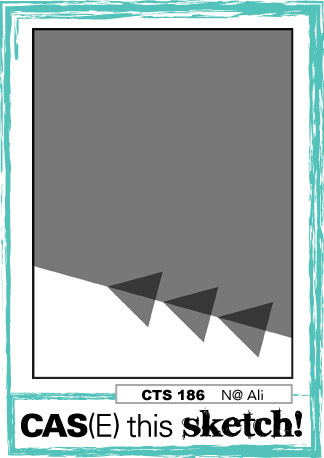 Guess I'd better bring this chatter to a close and get on with telling you about this card I made for the new CAS(E) This Sketch Challenge! 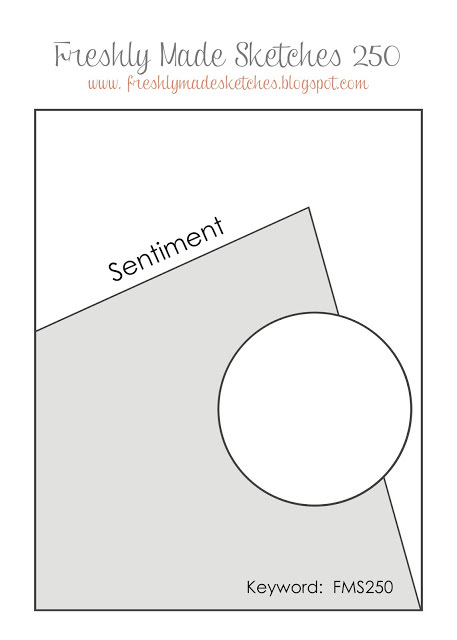 I struggled with the sketch a bit until it dawned on me to think of the vertical rows as an alternative to the interpretation. I started by clear embossing the Barnwood Background stamp - new from Concord and 9th - on Ranger watercolor CS. I then did a watercolor wash over it using Evergreen Bough and Cracked Pistachio distress inks. 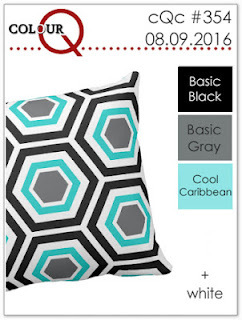 I love the way these two colors blend together! I had trouble capturing the embossed shine in my photo but it's there IRL. 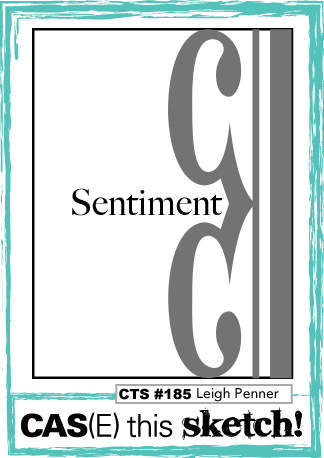 The sentiment (a freebie with an MFT order) was die cut 4 times - 3 with the Cool Caribbean CS and once with metallic copper CS. I added some fine copper thread (from the new SU catalog) by looping it over a tiny glue dot. I wish this thread were just a wee bit thicker as it's almost too fine to even see well. The stitched frame is part of Reverse Confetti's new All Framed Up die set in their August release (*Oops...I see it's already OOS!). I cut three of the Layering Leaves dies by Concord and 9th from copper CS. I can't wait to play more with this die set...so many possible uses are running through my brain! 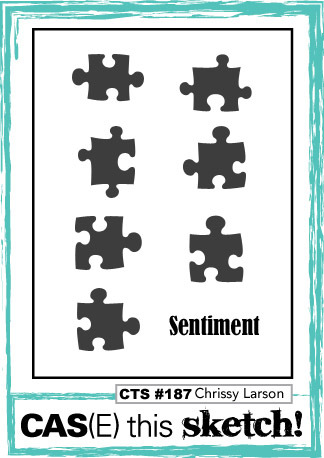 A quick post to share a tag inspired by the current Tag, You're It Challenge! 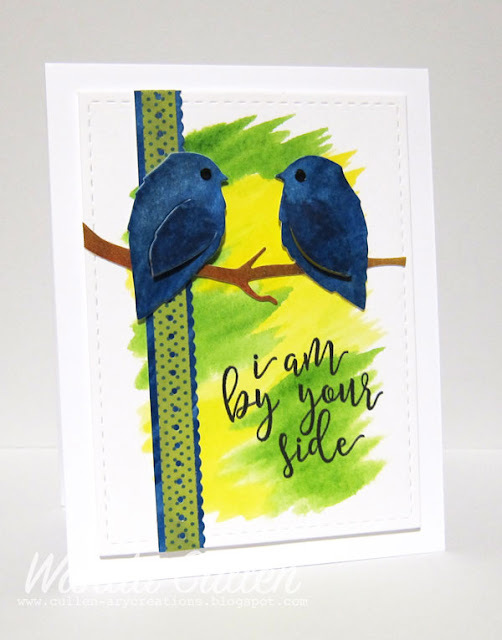 Michelle has a simple design with a watercolored background and block sentiment. I already had this background in my leftover pile, so I die cut the tag using my favorite Reverse Confetti die. 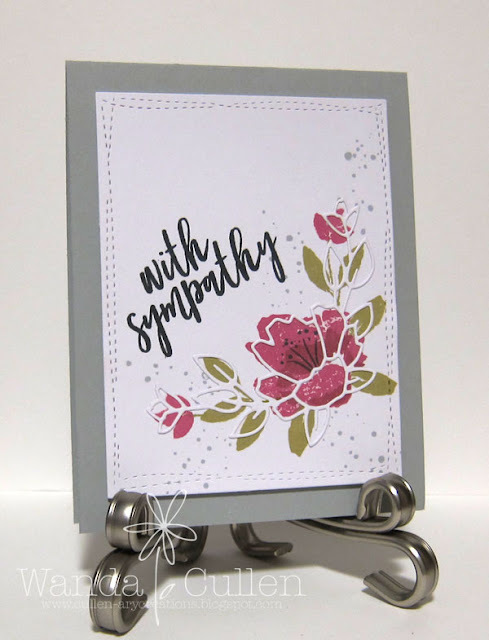 The florals were stamped with Pumpkin Spice and Beanstalk Pure Color dye inks by WPlus9; flower centers are Daffodil Delight by SU. 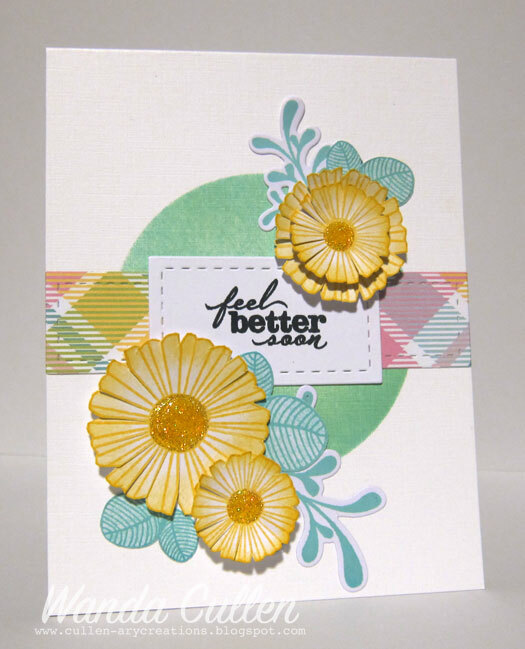 Floral stamps and matching dies are from PTI's Bitty Bouquets set. 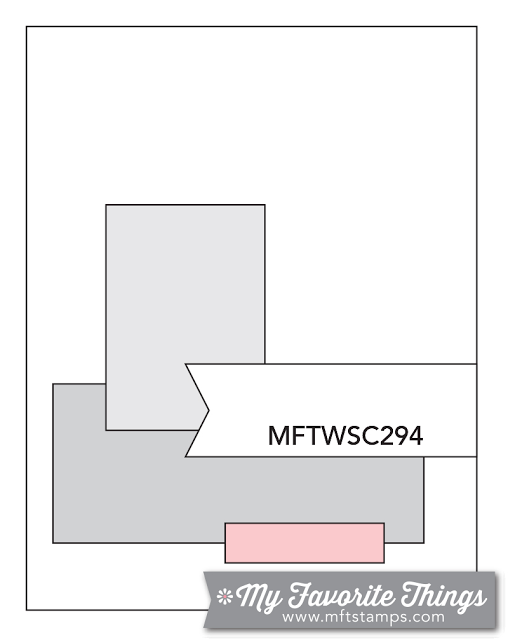 The sentiment is MFT's Label Maker Sentiments. 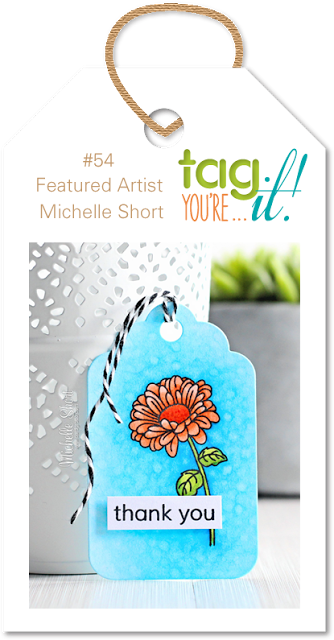 I added clear Wink of Stella brush marker to add sparkle to the flower centers and topped off the tag with Caribbean twine from The Twinery. I just came across a genius DIY stain removal tip! Take a 10ml roller bottle and add 1 capful of Thieves cleaner (product by Young Living) and then fill with distilled water. You now have a portable, easy to use stain remover solution! Thanks for stopping in...always enjoy your feedback! Labels: PTI, tag, Tag...You're It! Here we are with another Color Throwdown Challenge for you and Lori has some fabulous summery colors - lime green, yellow and blue! I first dabbled with some yellow and green watercoloring using an angled brush. I thought I was going to add blue butterflies, but suddenly I changed direction and decided on this sentiment and bird die by Concord and 9th. Generally, watercolors lighten up considerably when you dry them, but I'm finding out that Gold Class Mission watercolors stay much darker than distress inks that I often use. The blue is a little darker than I planned, but hey...we always say as long as it's close and we're having fun...it's a go! Besides...it was late at night and I simply didn't want to do it over - lol! STAMPS: By Your Side (Concord and 9th). PAPER: Key Lime Collection by Bo Bunny; Ranger watercolor CS. 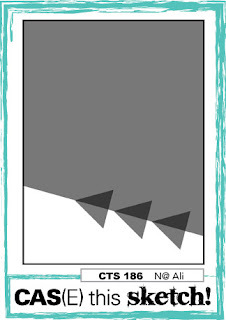 DIES: By Your Side Bird Die (Concord and 9th); Edge Essentials Confetti Cuts (Reverse Confetti). Congrats to our guest star stamper - Karen Davis of Karen Creates Cards! Be sure to stop by her blog and say hello. 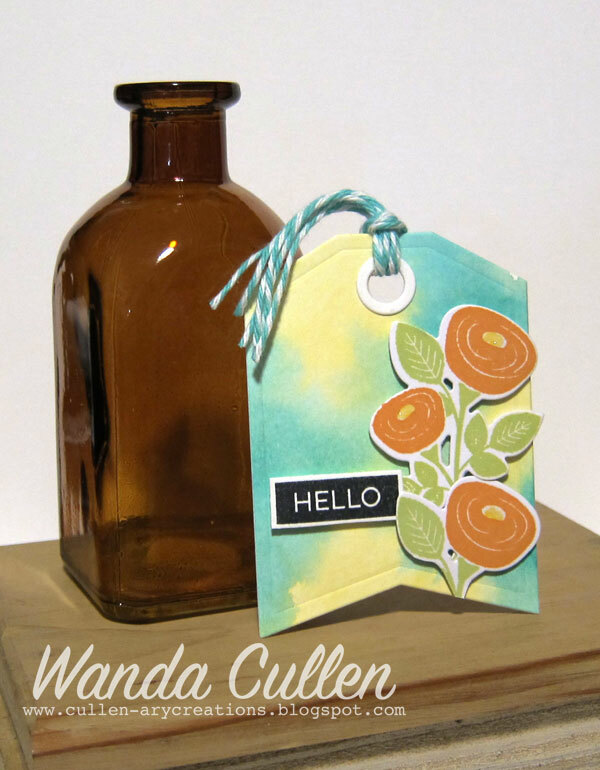 Sadly, this is the last week for our uber talented August guest designer - Wanda Guess! Her work is so inspiring! But...stay tuned...next week we'll announce a new guestie. I'm burning the midnight oil with this card...created for the Color Challenge on SCS to use Real Red, Tempting Turquoise and Emerald Envy. I skipped dessert which was to use a bird. I'm also playing along with the CAS(E) This Sketch Challenge. I usually have lots of white space with CAS designs but decided to use patterned papers instead. The individual gluing down of the tiny hydrangea blooms probably will have the CAS police coming after me - lol! It really is a fairly quick and simple process. 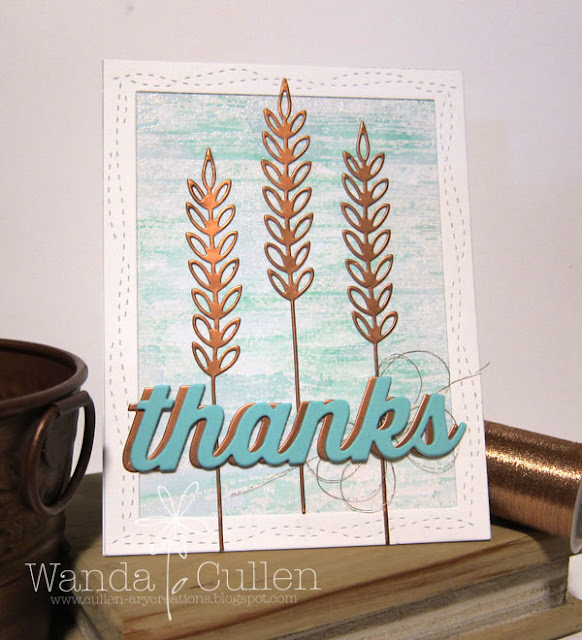 I used my MISTI to stamp the sentiment twice then topped off the stem with a tiny twine bow. 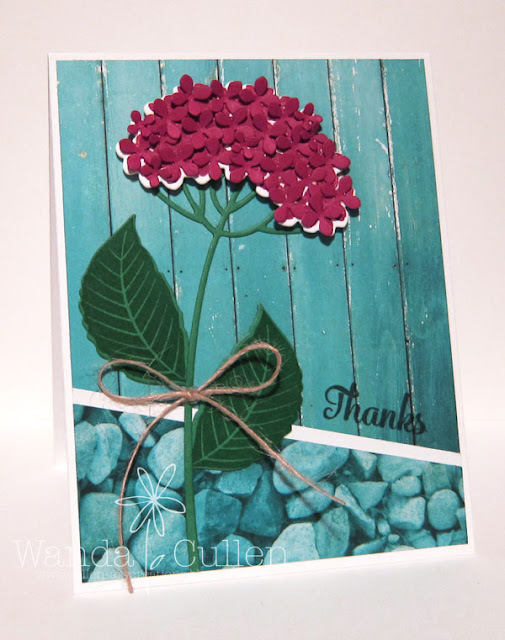 STAMPS: Hydrangea Set by Impression Obsession. PAPER: Color Ways by Paper House (Michael's), Real Red, Emerald Envy, White. INK: Real Red, Emerald Envy, Memento Tuxedo Black. ACCESSORIES: Hydrangea dies by IO; Jute twine. Good Monday everyone! Julee has another great sketch for the Mojo Monday Challenge! I started with a mix of 3 patterned papers from My Mind's Eye "A Mother's Love" 6x6 pad - one of my faves with the coral/gray/aqua/green color palette. I already had this tag cut from a previous project and decided it would fit the layout perfectly. 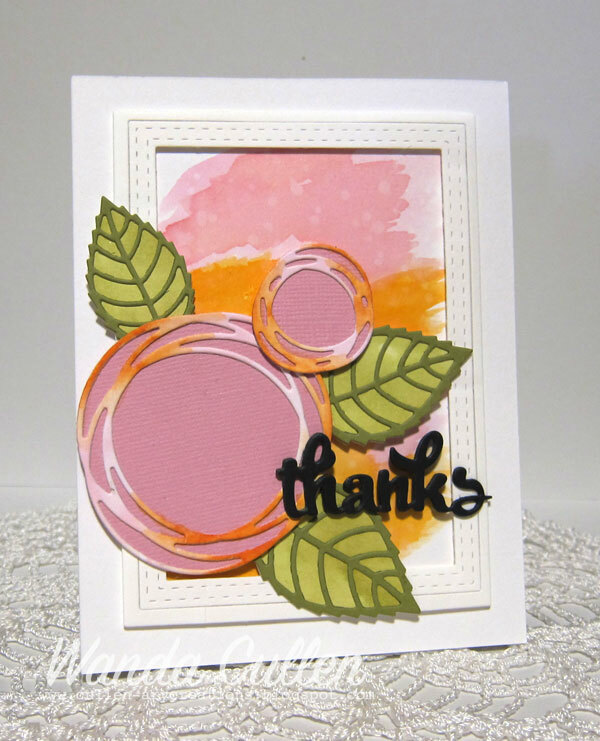 I white embossed on Watermelon Wonder CS by SU and fussy cut the flowers from Verve's Be Blessed set. 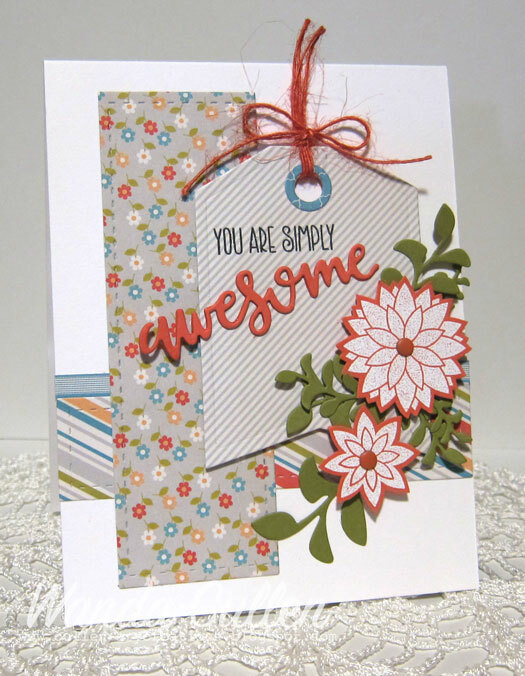 The sentiment is a combination of a stamp from Simply Amazing with a die from the Amazing Adjectives dies - also by Verve. I tucked in some Sprightly Sprigs die cut leaves using a scrap of olive green CS. I thought I'd check out the Featured Stamper Challenge on SCS and discovered a great gallery by the FS, Donna Idlet! I CASEed her care HERE...a clean and simple design with the base as the frame and a corner collage as the focal point. I used WPlus9 Pure Color inks: Sweet Gelato, Cranberry Crush, Appletini, and Silver Lining. I stamped the Memento Tuxedo Black sentiment twice using my MISTI. I layered the matching Brushed Blossom die over the stamped images - from the Brushed Blossom set by Concord and 9th. Quick and easy! It has been a really long week for some reason and am SOOO glad a weekend off is coming up very soon! While waiting on laundry to finish, I decided to go ahead and create a birthday card for a really special granny that is turning 100! No...it's not my granny, but a fellow stamper is asking for a card shower and will hopefully reach her goal of having at least 100 cards sent to her granny. Since her fave color is red, I knew it had to have some red flowers. She seems to have a colorful personality, so I couldn't just stop at red. There had to be multiple happy colors! I wanted a subtle brick background, so used Lake House Pure Color ink (WPlus9) with a mini Tim Holtz stencil. Papers are from My Mind's Eye "On the Sunny Side" 6x6 pad. Other inks used: Daffodil Delight, Crushed Curry, Old Olive, Garden Green by SU and Gala Red Last Leaf, Beanstalk, Lake House and Falling for Blue by WPlus9. I layered some of the elements with different sized foam dots. A sticker stitch border was the finishing touch. 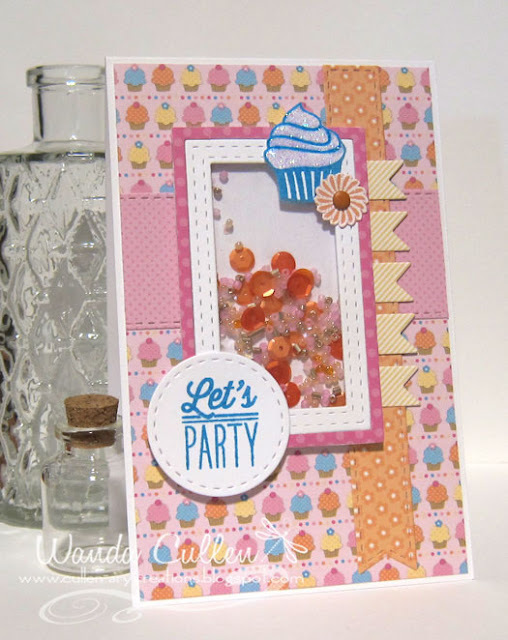 This card was based on the current MFT Wednesday Sketch Challenge which was such a fun layout to work with! The dryer buzzer just called my name, so have to run! 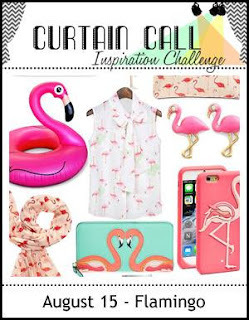 It's Color Throwdown Challenge day and you will love Lisa's fabulous color palette - orange, green, light pink and white! I can't seem to stop using watercolor backgrounds, so yet again...I went with Carved Pumpkin, Spun Sugar and Picked Raspberry distress inks. I actually used the colors again on another sheet of Ranger watercolor CS so I could die cut these scribble circles. I backed them with a textured pink CS from my scrap pile, so I'm not sure of the paper source. The leaf background is a watercolor mix of Mowed Lawn and Twisted Citron distress inks with an Old Olive CS for the top outline layer. I cut three of the sentiment dies and adhered them together to give it the feel of chipboard. 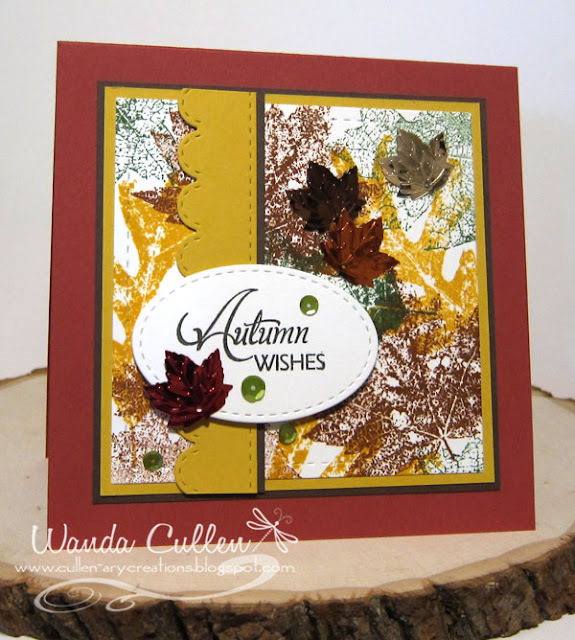 DIES: Swirlies, All Framed Up and Fancy Words Confetti Cuts by Reverse Confetti; Layered Leaves Die-Namics by MFT. Congrats go out to Penny Ward of Penny Ward INK - our talented guest star stamper! Be sure to stop and visit her blog! YG05, RV02, RV06, Y17, YR68. August is ticking right along and students in our area have already returned to school a week ago. It really feels like summer is slipping by quickly, so I'm cranking out as many floral cards as I can before the pumpkins and Christmas themed cards begin - lol! 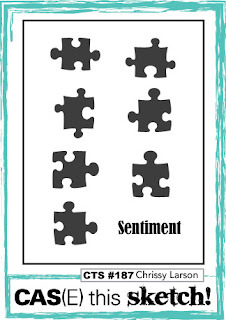 STAMPS: Hope Blooms (Verve); Sunny Days (Verve). PAPER: Spring 6x6 pad by Echo Park; White Linen CS by PTI for the card base. INK: Daffodil Delight (SU), Ocean Drive (WPlus9). 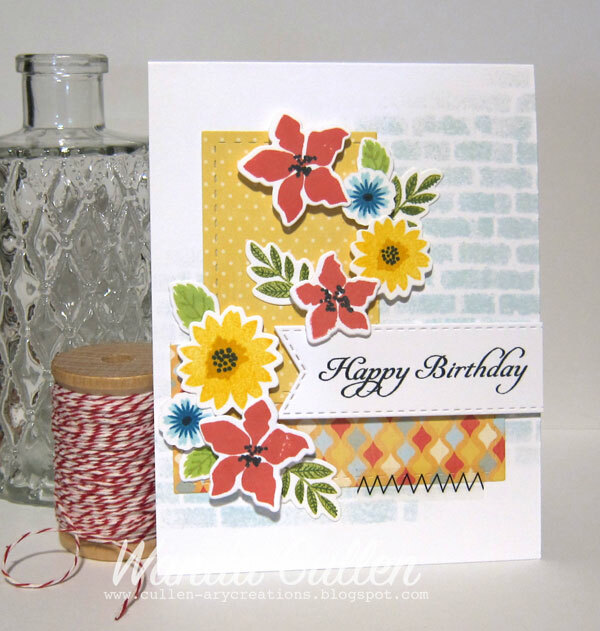 MISCELLANEOUS: Yellow Stickles; Stitched rectangle dies by Lil' Inker Designs; Leafy Sprigs dies by Verve. Need some more inspiration for this sketch? Click on the mojomakers' blog links below...or...you can go to the Mojo Monday blog and click on the first seven thumbnails. actually a Christmas trio of dies called Flourish, Holly and Mistletoe. I cut two flourishes - one in gray and one in black - to give it a shadow effect. The 2 step flowers - Garden bunch stamp set by Reverse Confetti - were stamped with Cool Caribbean and Tempting Turquoise. The vellum leaves (Large Mariana Vine die by Poppystamps) were on my leftover pile and I cut it into thirds and tucked them in and around the flowers. I also 'shadowed' the sentiment die (Fancy Words Confetti Cuts by Reverse Confetti) by layering white over Cool Caribbean. Once again...the RC Edge Essentials Confetti Cuts were used (the tiny scallop and the stitched line)...absolutely LOVE this die set! 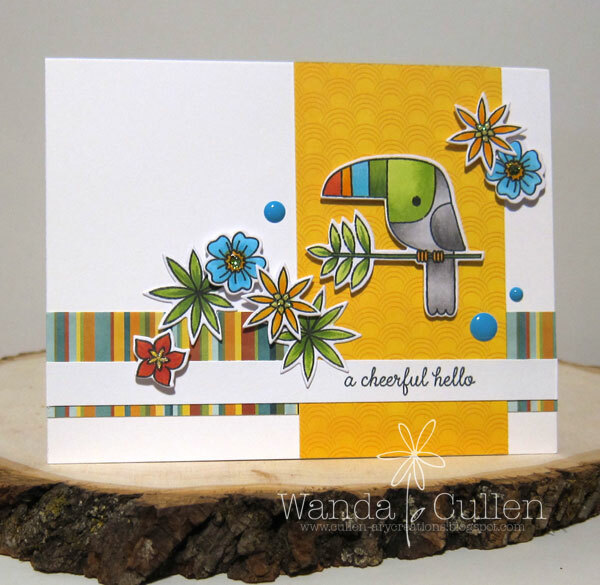 I'm in love with Reverse Confetti's Toucan of Friendship stamp set and matching dies that were just released on Monday! So much fun to color with Copics! The toucan and flowers were all popped with foam dots. 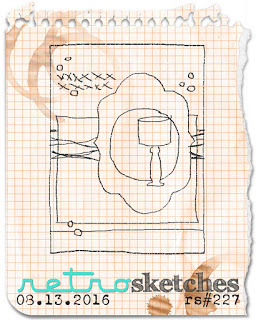 The layout is a fun new one for the Freshly Made Sketches #249 Challenge. Have to give RC a shout out for their amazingly FAST shipping. Ordered on Monday and arrived in my mailbox on Wednesday! Texas to Virginia via snail mail is pretty impressive! Thanks for stopping by...I'm heading out to work shortly so have to bring this quick post to a close.